"It is indeed unique to be able to do work that makes people smile." Please Plan In Advance - January through May is very busy! Many thanks for stopping by and browsing my website. 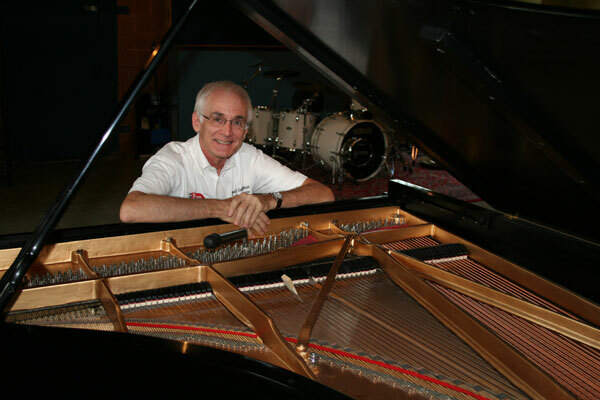 For your benefit, several topics have been condensed into an informative base to assist you in developing your understanding as a piano owner and user. For most of us music is a very basic human need. It provides us both an outlet to experience life’s fullness, and an introspective path to develop ourselves as individuals. For our children, music is a healthy, useful alternative to much of the mind-bending activities that are constantly begging for undeserved attention. For our communities around Atlanta, our art continues to nurture our hearts to “life, liberty, and the pursuit of happiness.” Our creation of sound is an essential part of our lives. Pianos are families of parts. On the average, most pianos come with 5,000 to 10,000 parts. Each has it’s own unique function; yet, no single piece stands alone. As a technician/tuner my skills and understanding of those interdependent relationships within the piano make it possible for the pianist to experience an instrument that offers optimal tone, feel, and control. As artists, we want to close our eyes and let the music take us to “that” special place. 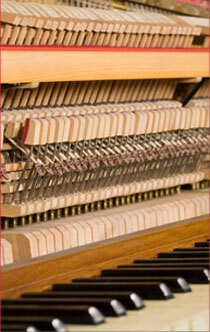 Properly tuned and maintained pianos provide us with the tools that do not resist and counter our efforts. Beethoven was credited for the expression: “Music is the spontaneous delight of a moment.” In the end our spirits as human beings are elevated from our endeavors to create beautiful, controllable sound. Enjoy your visit! Please feel free to contact me with questions or comments.